Yay its finally here! Its the My Creative Time release week! Im so excited to share these sneak peeks with you guys! I love everything Emma has come up with! I swear that girl is so creative! Today we are show casing a few stamps sets. Do you remember the Stitched Fun Ticket dies she came out with? Well there will be more sentiments to go with it! Im so excited and cant wait to show you! 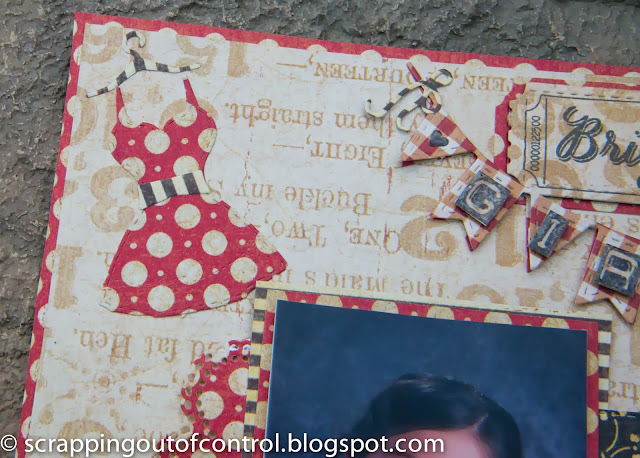 I made this layout using the Stitched Fun Ticket die and the new sentiment stamps called "Holiday Tickets". As you can see, they can be used to make things not related to Christmas. The "Bright" is part of the new set and I just love the font! Thank you so much and make sure you visit the rest of the design team for more sneak peeks! Big crafty hugs to you all! Oh my you sure are an extremely talented scrapper I love how you did show a non holiday idea to use the new stamp set. I so love your LO your little girl is so beautiful love her precious little smile. I am so in love with how you used all of Miss Emma's goodies and can't believe how you found the perfect papers too. You are a very creative gal and can't thank you enough for all of your inspirational ideas as I'm an avid scrapper. What a beautiful layout! Can't wait to see the new release! Oh what a lovely layout! 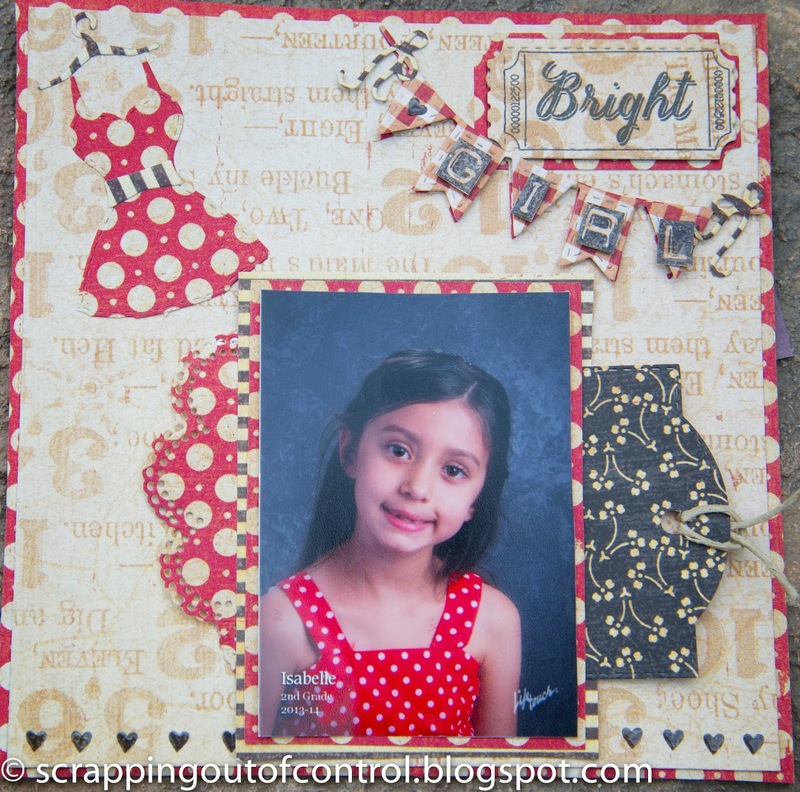 Great use of the ticket die and stamps!!! Beautiful layout, Nancy! Great way to show how these sentiments are so versatile! This is beautiful! Love the colors, the papers and that adorable pic!! Very nice! I love the papers you used! Love all the die cuts peeking out. Beautiful pic! Perfect layout! Nice job. I also love the font of "Bright", and I love your layout too! Nancy ~ isn't she a CUTIE pie! Well your layout is FABULOUS! LOVE all the details down to the matching DRESS! EEK! Yes that Emma is way too creative! AWESOME as always! Great layout. 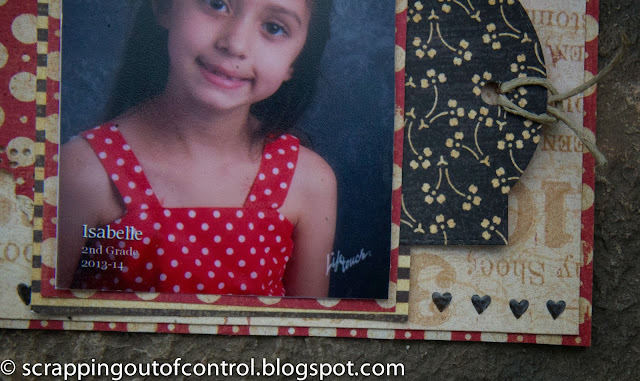 Love how you matched the pattern of the die cut dress to the dress in the picture. What a sweet layout!! 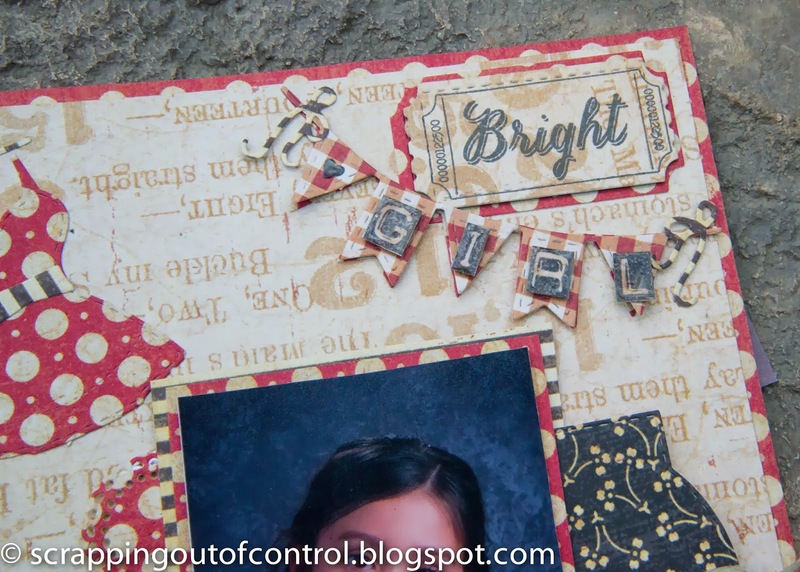 Love how you used the new sentiment on your page! Cant wait to see what else you create this week! That is a really pretty layout. Love the colors. Fantastic LO! I love how you matched elements on the page with the polka dot dress in the photo. Very cute lay out! Love the use for the ticket die! What a fabulous layout! Love it! Very cute layout--I like the polka dot dress to match the one in the photo. Oh how adorable this layout is! I love the ticket sentiments so far and I am loving that font too. Looks like it has a built in shadow too, perfect. Cute pic as well!! Very cute layout! Unique use of the holiday tickets. What a great layout...love how the little dress matches your daughter!! CUTE! You did an awesome job on your layout! TFS! Love your layout! Time to dust off these dies, I've been inspired that's for sure. TFS! That is a great font! I like how you have dots to match the picture...very clever idea. Your layout looks great! What a cute L/O, gr8t color choice too! What a fantastic layout - everything coordinates and creates a strong focal point for the photo. What a sweet layout. Look at all those wonderful MCT goodies. TFS.